This is the tourist board’s slogan, and it’s true. 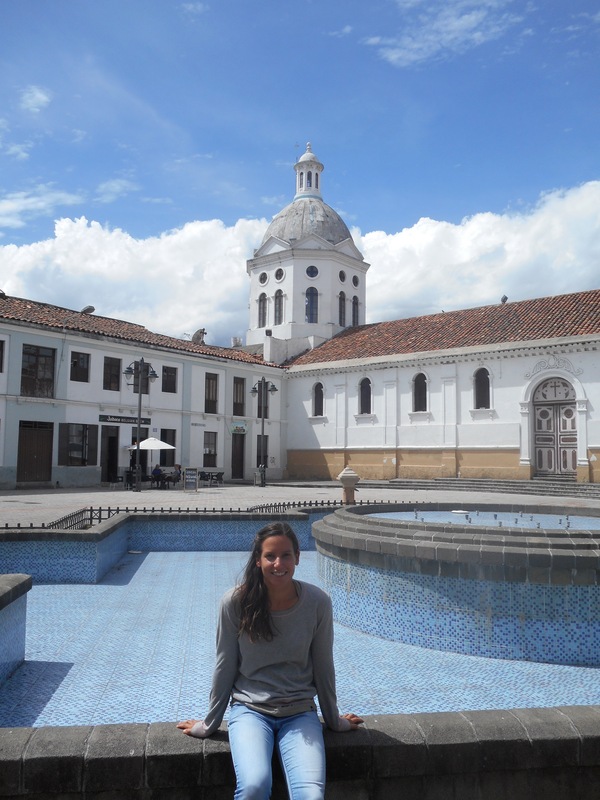 We did not know a lot about this little country in South America and discovering it has been a lovely surprise. 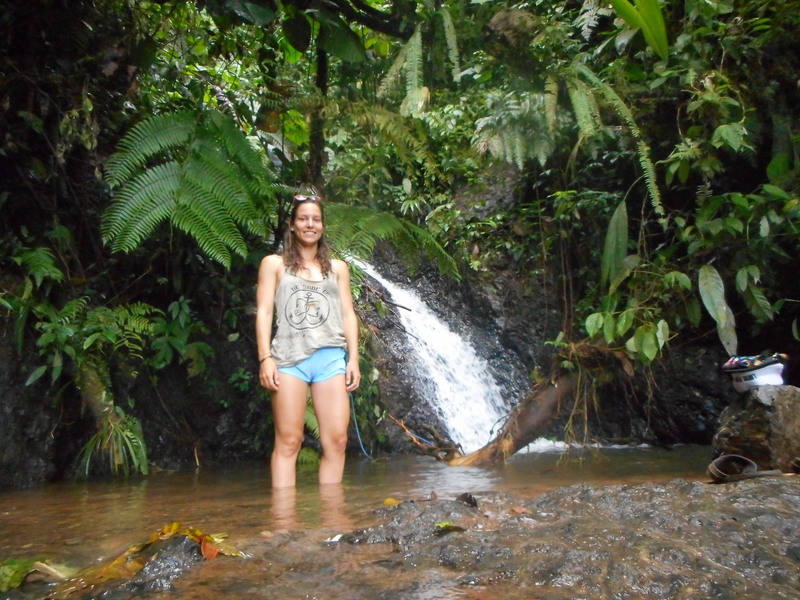 The people are really friendly, the nature is incredible and the landscapes are beautiful! 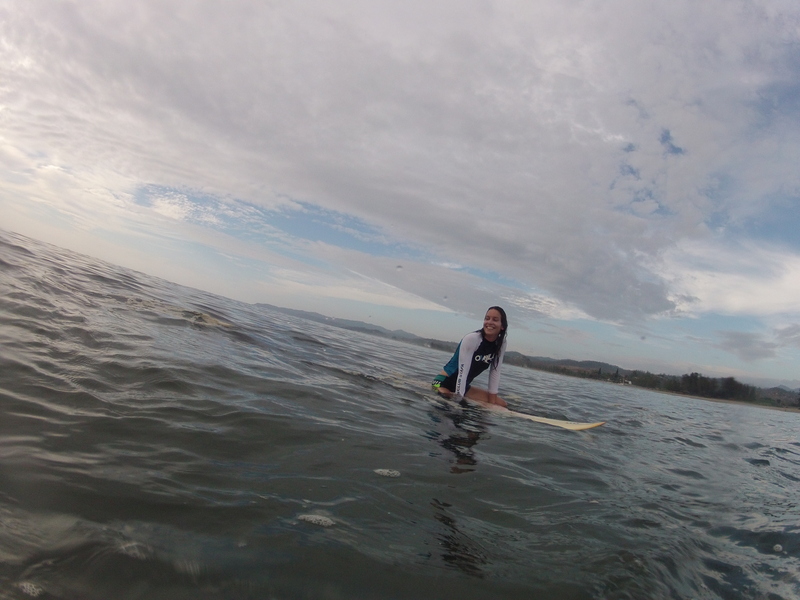 We spent around 2 weeks following the coast, with amazing waves and great surfing. 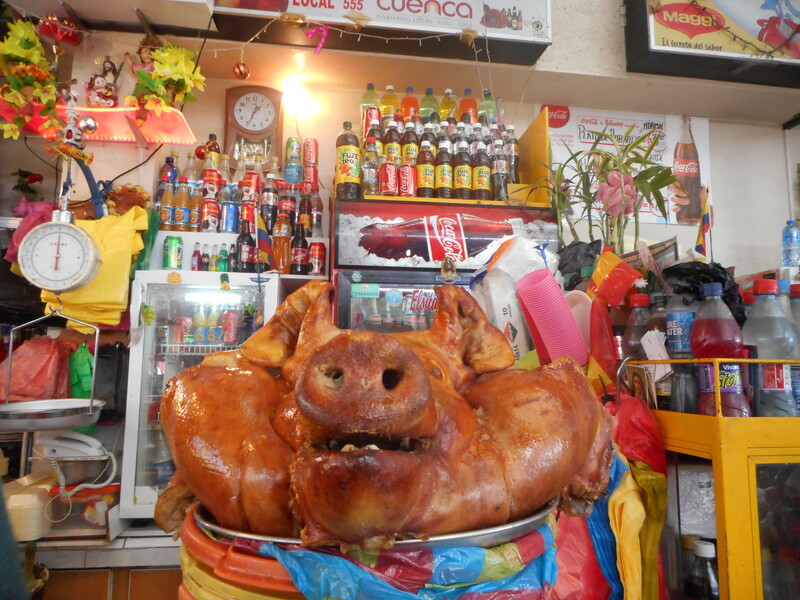 Our last stop was Mompiche, a really chilled surf town surrounded by jungle. The wave, which is meant to be the best in Ecuador, was not working very well, but we still got some surfing done, and George managed to trade-in his 6″10 for a 6″3. We spend a few days camping on the beach, next to Ainoha and Fabricio “La Repubblica di Arepistan”, a Venezuelan- Spanish couple who travel with a really cool Land Cruiser selling Arepas around the Americas. One day in a beach bar, George got a modelling job. Unfortunately unpaid, but it could be the big break he has been waiting for. 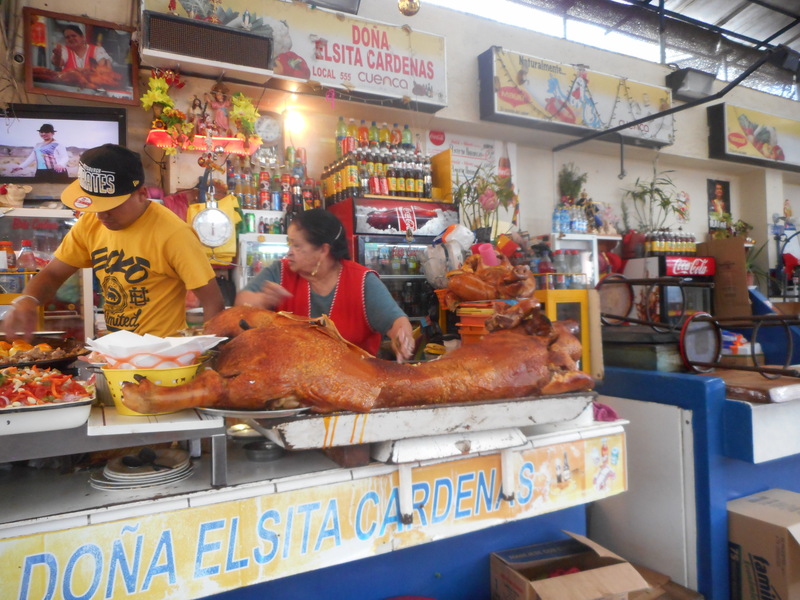 One of the best things we ate was roast pork, but here they don’t mess around, they roast the whole pig and then serve large handfulls of meat for about 3 dollars! We also ate an amazing crab “Encocado”, a whole crab cooked in coconut milk and served with a large hammer! Now, as the swell is over, we have driven back inland to the beautiful area of Mindo. 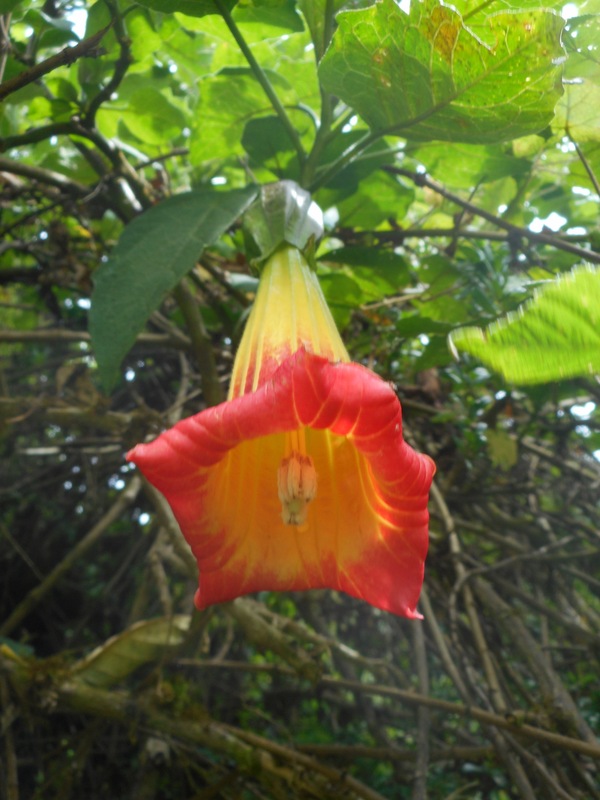 We are surrounded by cloud forest, lots of waterfalls, giant butterflies and hummingbirds! We have now a few days left to eat as many bananas and to drink as much coconut water as we can until we cross the border to spend our last month in Colombia (where we will also eat bananas and drink coconuts), where we are going to meet our friends Juan and Lucy to share some travels! George is very excited about a Lake in Colombia which has 30 knots every afternoon for kiting! Juan is worried about rumoured guerrilla attacks on the roads around Cali. Yesterday there was a medium size earthquake near Bogota. Colombia sounds exciting! 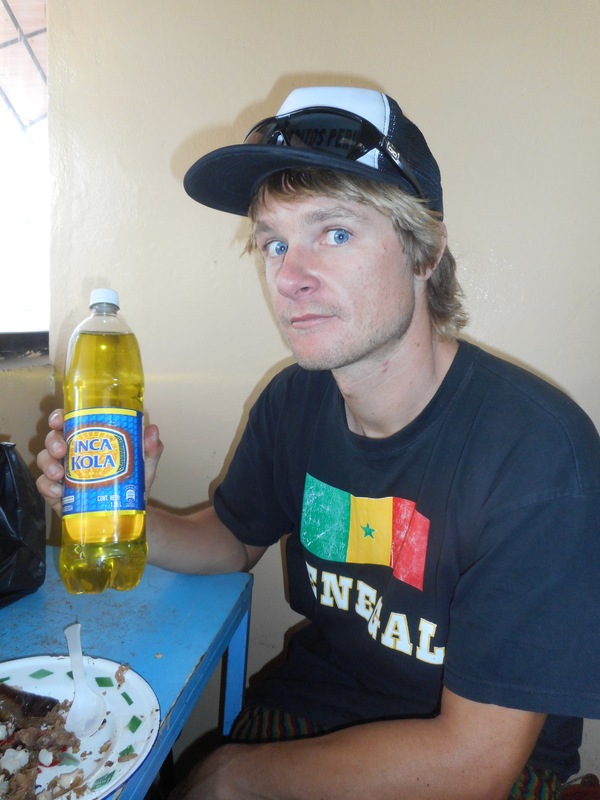 Most people only drink Inca Kola once….